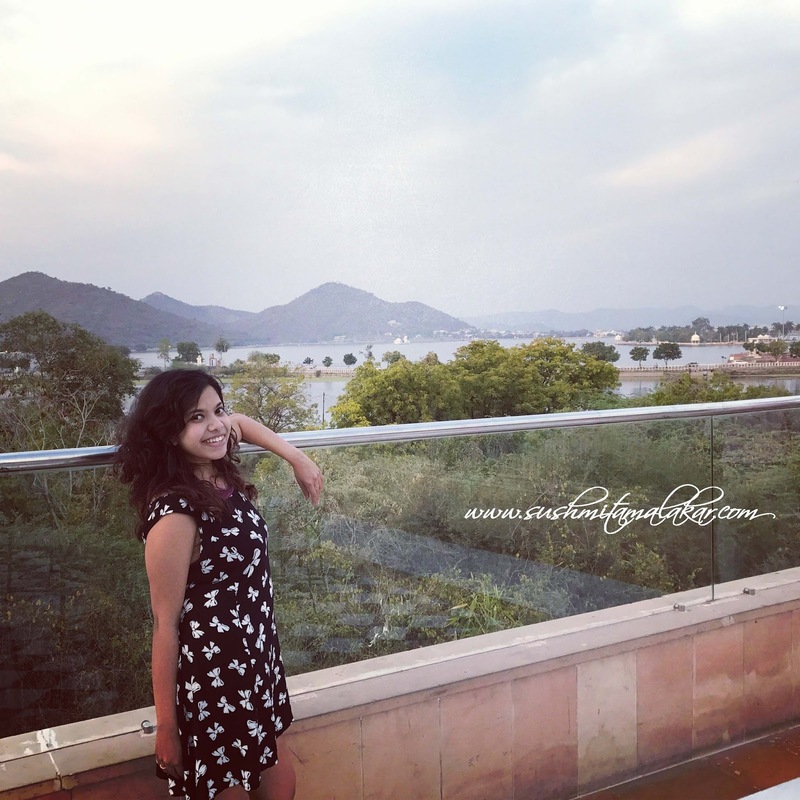 For this weekend, I went to Udaipur, the city of lakes. This was the most random plan that I have made off lately. 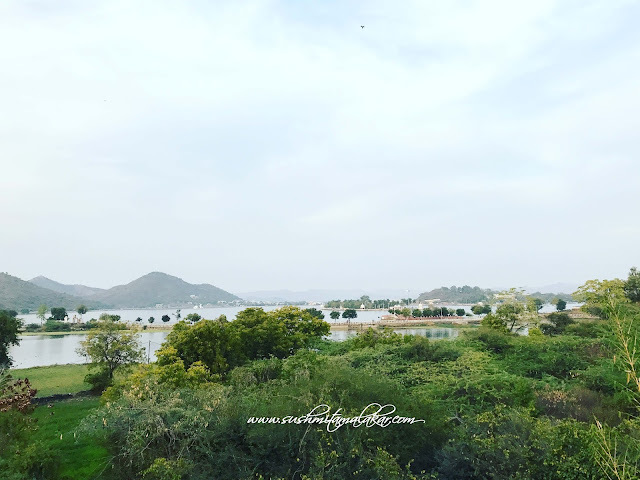 This post is not a travelogue of Udaipur but an account of my stay at this luxury resort - Radisson Blu Udaipur Palace. Udaipur is a romantic city and the moment you land here, you can sense it. And so is this beautiful resort. This place has a very royal feel to it! After being welcomed in a typical Indian style of tilak, we were escorted to our rooms. Well yes, the hotel was generous enough to give a free upgrade to the Deluxe rooms. So yes, I was very pumped up and I had already made up my mind to stay in the hotel for the whole day. The rooms were luxurious and spacious. Yes, the bathroom is the first place that I check out at any place. And then soon I discovered that it was a pool facing room. And that this place was hosting a wedding this evening. My bollywood feel just got magnified! After our arrival lunch at the room, it was time for a good afternoon siesta. This was followed by a stroll in the evening. And the property is beautiful! The sitting area outside overlooks the Aravalis on one side. This hotel is situated at one side of the huge Fatehsagar Lake, adding all the more beauty and calmness to its existence. On the other side, you can see the Fatehsagar lake. 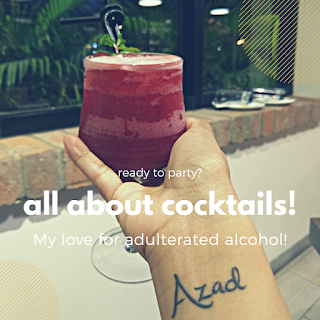 Yes, I am allowed to get clicked! And it gets prettier as the sun sets. And that was when I was allured to take a dip in the pool. Because I just had to! This place has splurging, lush green gardens which please the eyes. After the stroll, we sat for a cup of coffee. I did not feel this royal in a very long time now! This place organizes a puppet show and folk music show in the evening. But unfortunately, this weekend they did not have them because of the wedding which was lined up. Therefore, we decided to go to the terrace for dinner. 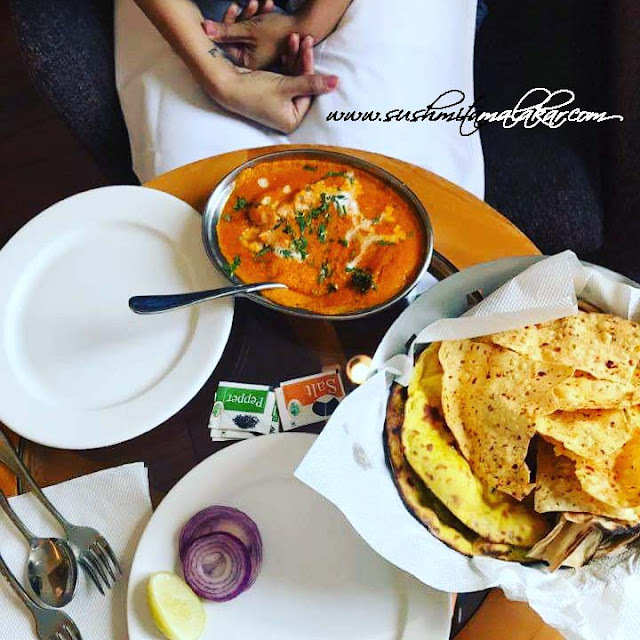 The terrace restaurant here is called the Aravalis, which offers some great delicacies. 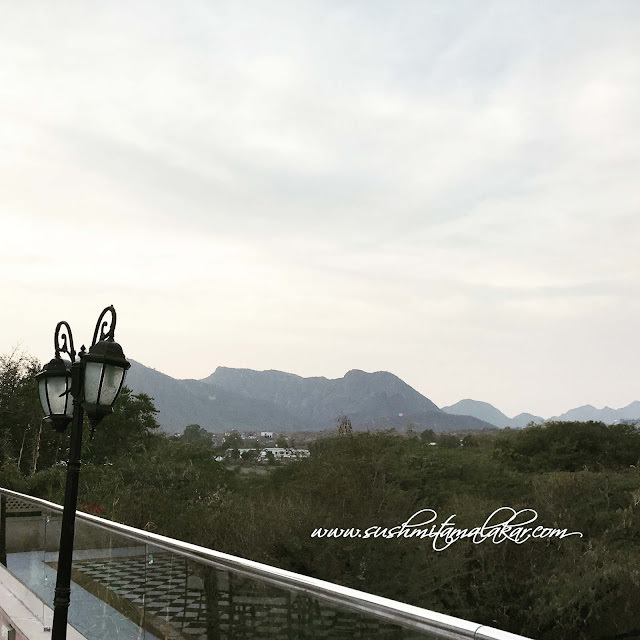 This restaurant is romantic of the next level - terrace with a pretty lake side view, amazing Indian flute playing in the background and a royal ambiance. What else could you ask for? The food is amazing. The spices play with your taste - buds. However, what caught my attention the most was the dessert - Chocolate - ginger pudding. The li'l hint of ginger in the chocolate pudding was something unusual and very refreshing. Did I mention the Bollywood feel already? I did. And I also got clicked in one such set-up! Actually a lot many, but I am sharing this one! One thing that I love about the five star hotels is the chandelier that they have. I am always fascinated by the variety! And that is how the day ended. The next day started with the breakfast at the pool side restaurant - Wok by the Lake. This place also had some good hanging night lamps. And then the stay ended and then began my adventure at Udaipur, which I will be sharing soon! Off lately I have heard that I have started to travel a lot. But that doesn't make me a traveler. 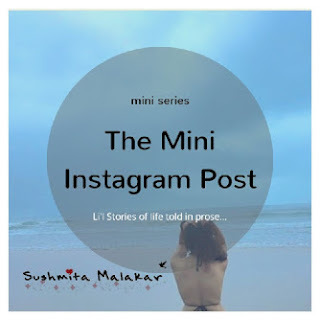 I am at times just looking for mini escapes - sometimes towards peace, sometimes towards luxury. And thus, this series came into existence. I hope this turns out to be a good one! Wow! Seems like such a great experience. You look stunning in that pink gown Sushmita. 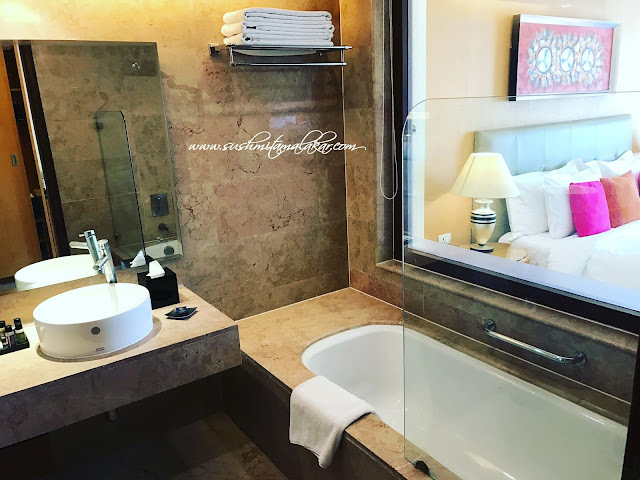 Great clicks and definitely the luxe stay is stunning.